Whether you just want to escape the city life and relax.St. Augustine,Florida, has a lot things to do for travelers who loves history and good food. We had a chance to visit the oldest city in the United States founded 1565. The place is different in all the places I've been visited and I love the ambiance and architectural. 5 days in St. Augustine is not enough but I'm thankful to experienced and saw the place with my family. If you're a history minded, St. Augustine, is the best place to explore though the city has things to see and do for all ages. Whether you want to shop, eat good food, enjoying the story of paranormal activities or just enjoy the beach. It's all up to you what is your preference to do. a. Castillo De San Marco National Monument-is the oldest masonry fort in the continental United States and founded in 1565 with the entrance fee of $7 for seven days. 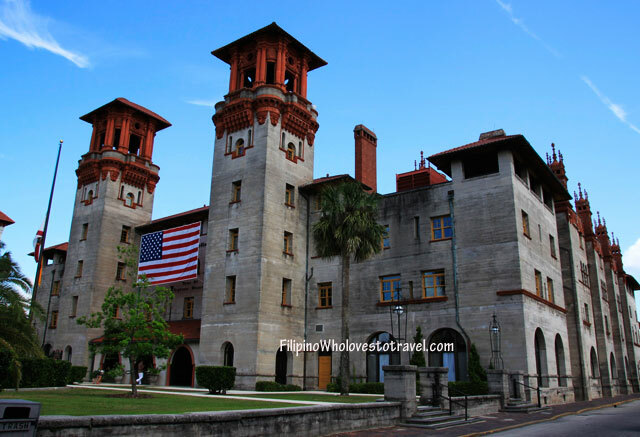 b.Flagler College-it was known as Ponce de Leon Hotel and built in 1888 and is known for it’s beautiful architectural and today is open for tour with a guided tour that takes you back a time. c. St. Augustine Lighthouse & Museum- you have to climb 214 steps to the top of the Lighthouse. d.St. Augustine Aligator Farm Zoological Farm-if you love nature,and bird watching, this is for you. Fun for all ages. e. Lightner Museum-is former Hotel Alcazar and today is a museum that has collection of American Victorian. The place is interesting.